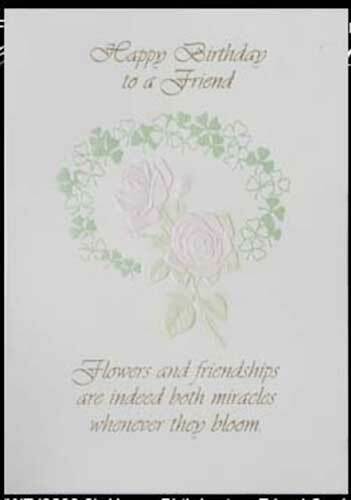 Irish greeting card features an Irish birthday blessing to a friend. Flowers and friendships are indeed both miracles whenever they bloom. INSIDE: ‘Tis glad I am that Our Dear Lord planted you in the precious garden of my heart. This Irish birthday card features an embossed and gold foil design along with a blessing inside. The Irish birthday card for a friend is made of heavy card stock and measure 5” wide x 7” tall; an envelope is included. This Irish note card is made in the United States.